I am looking to recruit SnapChat Influencers. Those that are active on the platform, have great followings and get viewership from their network. Because I want to work with you. I am working with brands that you may love and we can partner you with them. 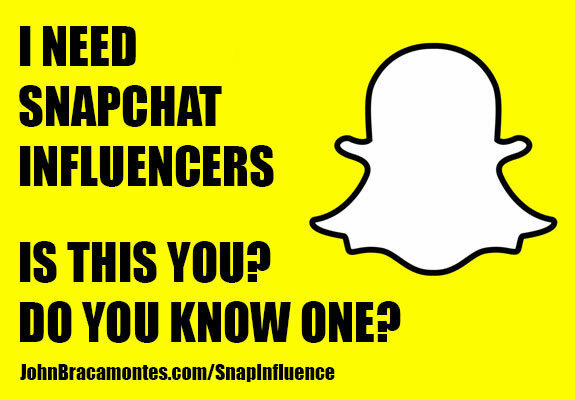 If you are a SnapChat Influencer or you know of one, please use the form below to contact us to learn more.